Our friends over at York’s Chocolate Story aka #TheHomeofChocolate have kindly sponsored this year’s trail. Be sure to visit them on Kings’ Square to check out their Bunny and explore York’s rich chocolate heritage. A must see for chocolate lovers! All 26 bunnies will have their own unique quirky design – Insta-lovers get snapping away and take the perfect selfie during the trail. Don’t forget to tell us about your favourite sculptures and discoveries tagging @visityork using #YorkEaster. 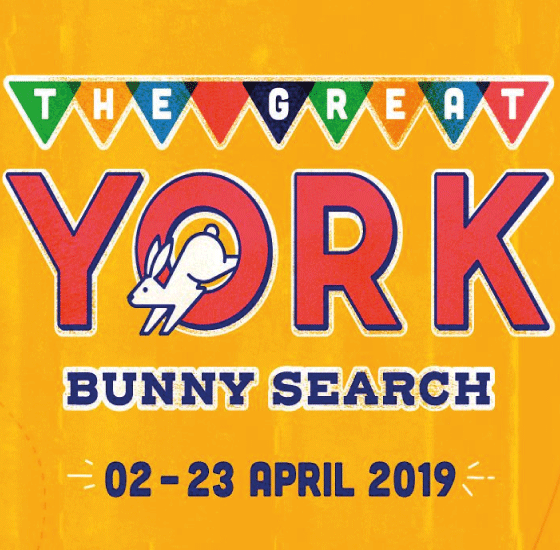 Download the Great York Bunny Search map to help you locate all 26 bunnies or pick one up from the Visitor Information Centre during the York Easter Festival.